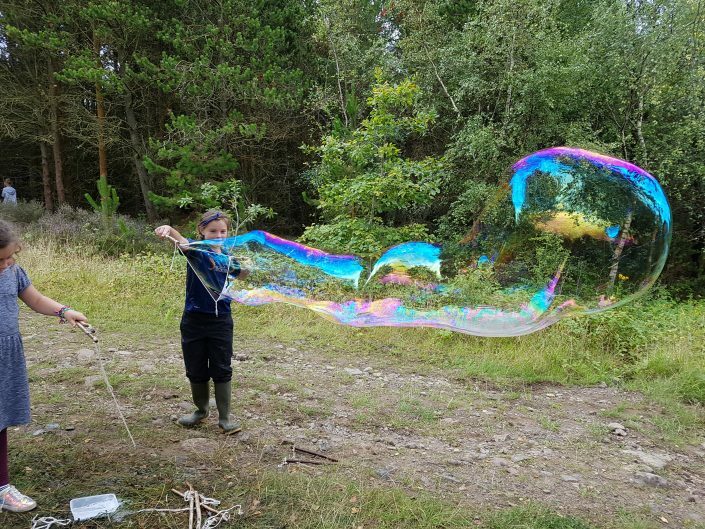 This is for people who want to learn about the benefits of Outdoor Learning and Forest School for their own setting or who want to volunteer at our sessions, supporting a qualified Forest School Leader. Suitable for anyone including teachers, parents, support assistants, nursery nurses, youth workers, artists, community workers, carers, workers from environmental organisations. No previous experience or knowledge needed. PLEASE NOTE : Agored Cymru Level 1 does not qualify you to deliver Forest School. 2.5 days, including a visit to a Forest School Session at one of our many sites.